Photographing Washington takes the photographers to the best advantage points to capture images of the landmarks and natural life in the State of Washington. in the 320 pages of this book, you will find beautiful color pictures, examples of locations and directions of how to reach the best advantage points to take your own shots. 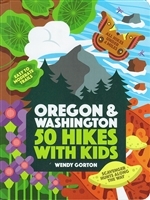 Included are all the major National parks, Monuments and local parks.